Do you or someone you know require a Tree Surgeon in Camden? If so, you came to the right place! GraftinGardeners are highly skilled arborists and have tree surgeons in NW1/NW5, London and surrounding areas. Our tree company delivers a top notch tree surgery service and have many years of experience under our belts. We are committed to delivering the highest possible standards of work and always adhere to the (BS 3998) guidelines. We can send out one our tree specialists to visit your premises to supply you with a free quotation on any and all of your tree surgery requirements. 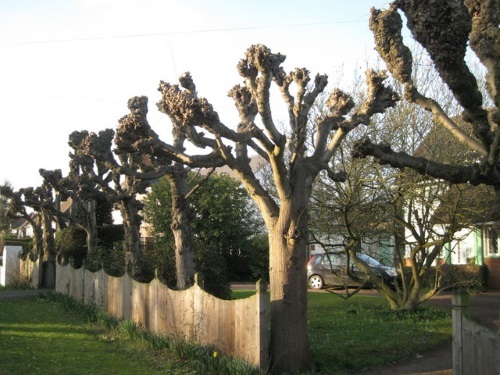 GraftinGardeners are experts when it comes to tree care and have tree surgeons in Camden and surrounding areas. We are fully qualified arborists, with three teams of highly skilled and highly motivated tree surgeons. If you require tree surgery in NW1/NW5, contact us now. You could have a tree specialist at your premises the same day, to provide you with a free onsite quotation, for any and all of your tree works. Do you have an unwanted tree in your garden? Do you need it felled to secure more space? Dead, diseased or damaged trees are a few reasons you might want a tree removed. Regardless of the reason, our tree surgeons are fully equipped to perform tree removal operations and could have yours removed the same day (depending on the size). We cut trees down in sections, or where space allows, by straight felling it to the ground. We take every precaution to ensure the tree is removed safely and in a well-controlled manner. We closely follow UK safety laws, ensuring a safe tree removal procedure. It is essential to take factors such as age, size, species, and location and even shape into consideration before making any cuts to a tree. Not all trees are the same and most trees require different methods of pruning. For this reason it is recommended that you let a professional inspect your trees before carrying out any type of pruning. Our trees surgeons are highly experienced tree pruners and can cut, trim and shape any species of tree. We guarantee to leave your trees in a healthy and well-balanced state, while maintaining and good overall shape, every job. Sick and tired of mowing round that annoying tree stump? Don’t let it annoy you any longer! No stump is too stubborn or tough for our tree surgeons! Using a combination of hand tools and our powerful stump grinder, we can remove any tree stumps, wherever there situated. We will take the stump out, fill in the cavity with mulch or another composition and bring the surface back to ground level. We will also give the surrounding area a tidy once were done, ensuring our customers get exactly what they want. Storms and bad weather are the number one cause of tree failure. They can bring down damaged and vulnerable trees in seconds and cause vast amounts of damage to its surroundings. If you have a fallen tree on your property we can help! Our tree surgeons have removed hundreds of fallen trees and are well trained and fully equipped to deal with tree emergencies. Our emergency tree service is there for you 24 hours a day, 365 days a year. We will come in and remove any fallen trees, along with any mess left behind, and will stay until the surrounding area has been made safe again. Untrained ivy will usually grow out of control and can cause lots of problems for your home and many of its structural elements. Gutters can get broken, brickwork joints can crack, woodwork can rot, and it may even lift your roof tiles up! Our arborists have lots of experience in dealing with damaging ivy and climbers and could have yours removed in the same day. We remove ivy from the roots to stop it growing back, but some customers might not want it removed. We also offer an ivy and climber maintenance service for people who wish to keep their ivy. We can cut, trim and shape it to you exact instructions or you can leave it in our capable hands. GraftinGardeners are tree cultivation and management experts. We can help you plant that tree you always wanted in your garden or even relocate an existing one (depending on certain factors). Our team will source you the best specimens, so you don’t have to! We will advise you on optimal planting locations and even offer solid advice on tree aftercare too. Hedge trimming is a skill and one that takes a long time to master. Why let unexperienced hands ruin your best shrubs? Get GraftinGardeners, to give your shrubberies the attention they deserve. Our arborist will skilfully craft any dull hedge into a master piece, leaving you with clean cut and all round perfect hedges. To pollard a tree is to cut back all the major limbs and branches on it. This is used on species such as willow and poplar and can be the only way to keep them from growing out of control. Pollarding should only be performed on species that can tolerate the stress so it is always best to consult a qualified tree surgeon before carrying out any pruning work on your trees.